The Dos Playas Hotel in Cancun, located by the ferry docks, offers beautiful views of the Nichupte Lagoon. 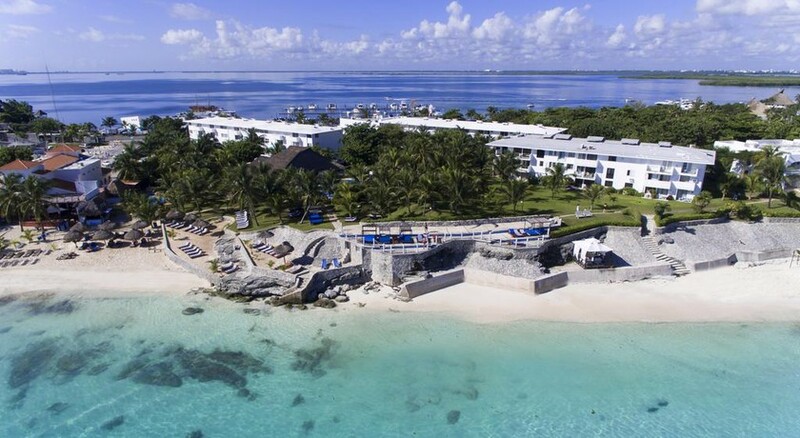 This luxury family-friendly all-inclusive resort offers excellent guest amenities and services—from restaurants serving various cuisines to sparkling swimming pools to a rejuvenating spa, lush gardens, water sports, halls for wedding celebrations, massages on the beach and so much more! Be enchanted by the posh and comfortable guestrooms offering scenic views of the surroundings. There are plenty of attractions at this property to keep everyone in the family engaged. The hotel is in close proximity to a fine powdery white sand beach, making it the best place to stay in Cancun! 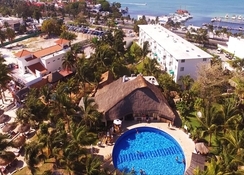 The Dos Playas Hotel is just 6-minutes’ walk from the beach. The beachfront hotel offers amazing views of the Caribbean Sea and is surrounded by lush tropical gardens. Hotspots like The City Nightclub and Coco Bongo lie just 3km from the property, a short drive away. The Cancún International Airport is about 23km from the hotel. The spacious and contemporary guestrooms in Dos Playa Hotel can accommodate one to three guests and come with either a king size bed or two twin beds, satellite TV, garden or Nichupte Lagoon views, terrace or private patio, wake-up reminders, safe, en-suite bathroom with shower, hairdryer and other essential amenities. There's only one category of room to choose from – Standard Room. The hotel does a great job of arranging and accommodating honeymooners and couples. The hotel's two spectacular restaurants – Iguanas and Thai serve up delicious international and Mexican cuisine for breakfast, lunch and dinner. The buffets have live cooking, authentic recipes and include lovely cocktails and snacks. There is also the Iguanas bar where you can enjoy drinks, tropical cocktails and mocktails. Staying at the Dos Playas Hotel is truly a treat for all your senses. 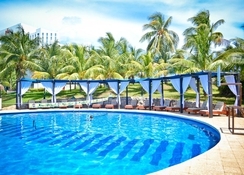 The hotel offers a combination of entertainment, relaxation and comfort for all members of the family. 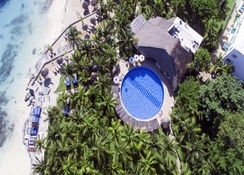 You can enjoy the gorgeous sparkling swimming pools, massages by the sea and the delightful cocktail bar. The pool has an outdoor solarium with sun decks and chairs. There is a spa, a gym and lively entertainment shows are held during the evening as well.